Can Vets and Vet Techs Bring a Dog Bite Claim Forward? Most dogs bite when provoked. Few people would argue that a visit to the vet is frightening for a dog. This puts veterinarians and their technicians at risk, although it “comes with the job,” so to speak. However, there are some circumstances allowing a veterinarian or a vet tech to bring a dog bite claim forward against the dog’s owner. This includes if they are bitten or severely injured in an attack. Here’s what you should know. If a dog has a past history of aggressiveness or has bitten a person before, the owner must inform the staff. This is so they take adequate precaution when handling the dog. If the owner fails to do this, the owner may be held liable for injuries caused by the dog. Often, it is veterinary assistants who are more at risk for an animal attack than the veterinarian themselves. In some cases, a vet tech’s injury during their course of work means the veterinarian or clinic owner may be held responsible. For example, if the veterinarian failed to provide instruction on properly handling aggressive dogs or staff members were not adequately trained, the veterinarian or facility owner may be considered negligent. As with most injury cases, the burden of proof in a dog bite case rests on the shoulders of the plaintiff. In cases where a veterinarian or vet tech is bitten, they must show that the owner had knowledge of the dog’s aggressive nature before the attack happened. They must also show that clinic staff members were not notified. In cases where vet techs were not properly trained, they must provide evidence that no formal training program exists. 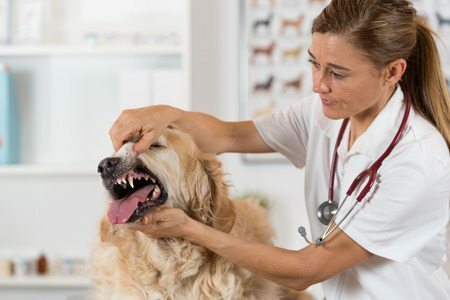 At Appalachian Injury Law, we have significant experience working with victims of dog bites. We can help you pursue the full and fair compensation you deserve for your injuries. We understand that dog attacks can be traumatic and life changing, and we’re committed to your success. Call now for a consultation at (706) 515-1995 or toll-free at (800) 393-8595.